Fishing in New England is synonymous for tuna fishing and has been made famous with shows like Wicked Tuna over the years, but Massachusetts has a great group of bass fishing anglers. The Rod Glove Pro Staff, Rob Ramasci is bass fishing in New England with hopes of making it to Pro Angler status one day. With the influence of his Dad, who was a tournament fisherman back in the day, Rob started fishing when he was a little kid. He started doing his own tournaments when he was 8 yrs old in a local club tournament against guys his Dad's age. As he got older he started to compete in fishing tournaments all around Massachusetts. He fished the Junior Angler tournaments where he was competing against anglers for a shot to go to the National Championship where each state sends two representatives. 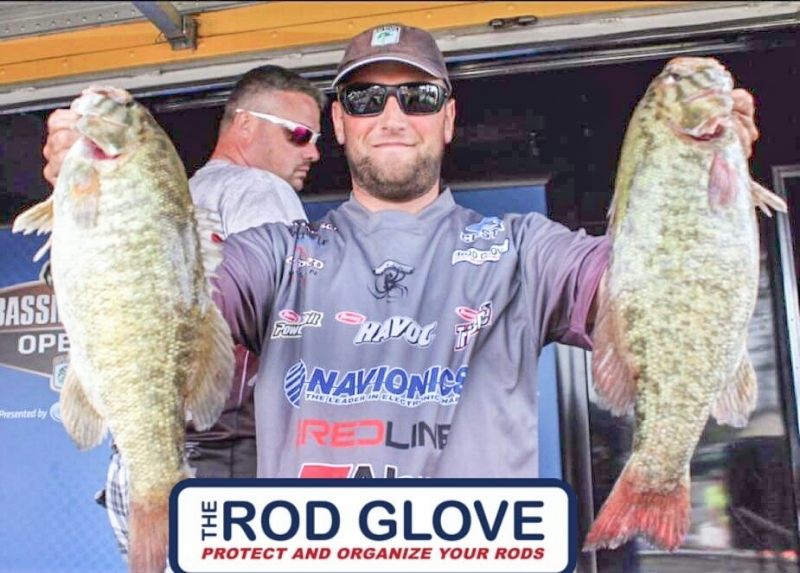 With some high finishes at these national tournaments, he started to gain exposure and sponsors and realized that this was a possible career opportunity. It was at a young age that he acquired his sponsor of Pure Fishing. A couple of months ago, Rob purchased a Skeeter and this year he will be participating in the Northern Bass Opens, local BASS Nation trail and he will be competing on his favorite Lake Champlain. Rob says "My long term goal is to qualify for the Bassmaster Elite Series or the FLW Tour to be able to fish as a full time professional. My short term goal is to finish in the top 10 in the three professional tournaments that I am competing in this summer". Rob's advice for our next generation of anglers “Get out and fish as much as you can, do something different that what your partner is doing, soak it all in” Try to get as much exposure to types of fishing that you not familiar with -get out of your comfort zone.